We recently received some new books at the Curriculum Centre. Here is a quick look at some of them. They include stories suitable for planning lessons on recycling, seasons, weather, food, birthday parties, refugees, inspiring women and 18th century fashion! Two themes explored in this book are resourcefulness and inventiveness. 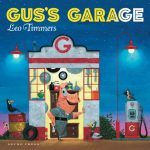 Gus uses items in his garage to adapt or alter vehicles for each of his grateful customers. It is an ideal book for covering topics such as recycling and transport. Read about some more teaching ideas relating to this book here. This picture book celebrates nature and the seasons and could be used in lessons relating to these topics. 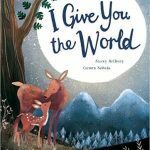 The illustrations are stunning and include double page spreads of a whale in the sea, an owl on a branch at night, a rainbow and some rain, animals gathering food surrounded by autumn leaves, a doe making her way through the snowy forest. With rhyming text, young children will really enjoy having this picture book read to them. 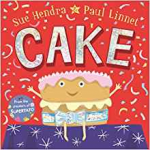 This hilarious picture book tells the story of how cake has been invited to a birthday party and how excited he is about it. That is, of course, until he gets there and realises what might be in store for him! Luckily for him, he has some “foodie” friends that are keeping an eye on him – watch out for the sandwich, ice cream, pizza slice and co… A great book for discussing birthday parties or different types of food. This debut novel by Ele Fountain, who lived in Addis Ababa for several years, is a real page turner. Shif is taken away from his family and imprisoned by soldiers, until he embarks on a dangerous journey to escape. He crosses land and sea and encounters both cruelty and kindness, in his search for a new life and a new home. 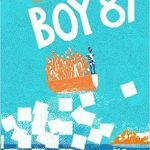 An uplifting story written in the first person, that’s highly recommended for KS2. 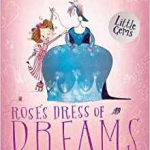 This dyslexia-friendly story published by Barrington Stoke, was inspired by the life of Rose Bertin, a French milliner and dressmaker to Queen Marie Antoinette. Any teachers covering a lesson on inspiring women or 18th century fashion could find it really useful. And there is a short 18th century fashion quiz included at the back of the book. Posted on May 23, 2018 by Laura Brett. This entry was posted in Book reviews and tagged Primary. Bookmark the permalink.